Have you seen our May Blogger Link Up? We’re hosting a Blogger Link Up! 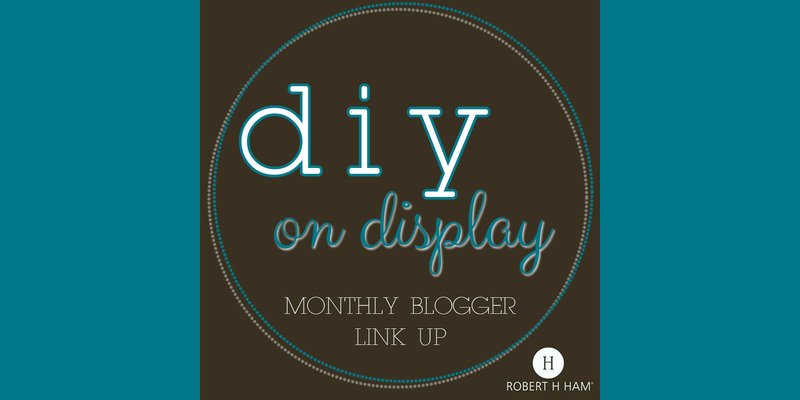 Welcome to Robert H. Ham’s first ever Blogger Link Up! 2. Link to your specific post – not your main blog URL. 3. 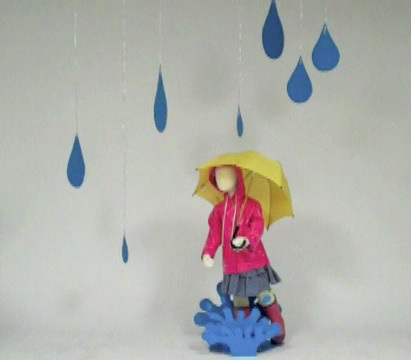 Check out our April Showers Display tutorial. 4. Link up your blog below! 5. Link back to our Blog in your post, please! Cut out raindrop shapes from blue poster board. Make as many different sizes as you would like. Next we will make the splashes. I printed out a splash stencil to trace. Cut out just one, or use two to give dimension. Place the splashes within your display. For this setup, I used a Flex Kids mannequin to place my splashes around. I added smaller splashes to give the scene a more creative and fun look. I created the small splashes by gluing to wire and sticking in a piece of styrofoam. Now you are ready to hang your raindrops! Attach fishing wire or string to the ends of the drops and hang from your wall or ceiling. Hang the drops in various lengths to give the look of rain falling from the sky. Now you have your final display! Submit your DIY project below and don’t forget to link back to our blog! Thanks for sharing!